The award-winning playwright is in town to open a season of her work at Profile Theatre. She told us what it's like to see her work staged in Portland for the first time, and why she's both sad and glad we're ready to talk about race. 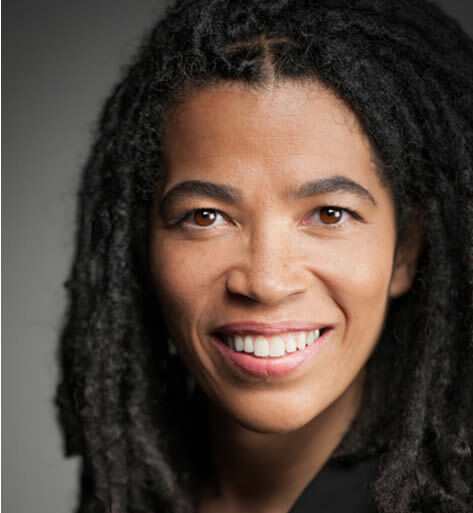 Portland-raised Tanya Barfield is the playwright behind this Profile Theatre season, which opens this weekend with The Call. Barfield, an award-winning dramatist who also currently writes for the FX show The Americans, will be back in her hometown on Friday, Feb 5, for a ticketed lunch (now booked up), as well as a pre-show conversation before Saturday’s opening night performance of The Call. Her plays explore relationships, parenthood, race, and sexuality, in modern-day domestic dramas that explore wider, universal truths. We caught up with Barfield, now based in Brooklyn, ahead of her homecoming to talk about Portland’s contribution to her creative development, and why we need to talk about race. A whole season dedicated to your work in your hometown—that must feel good! It’s really unbelievable. It’s one of those things that you never quite imagine will happen. I would say it’s a dream come true except it seems like an impossible dream, so I’m thrilled to have this opportunity. The funny thing is, I’ve never actually been produced in Portland, or anywhere in Oregon before. How did growing up in Portland inform your creative development? I don’t know what it would have been like if I’d grown up somewhere else! So it’s hard to say. The Oregon Shakespeare Festival came to my school [with a touring play] and it had a profound effect on me. And really, it’s the whole reason I went into theater. It was a combination of seeing that performance and hanging out all day in Powell’s Books, because there was nothing else for a teenager to do when I was growing up. Stories had an effect on me. I read that you directed a production of Macbeth at the Metropolitan Learning Center when you were in the tenth grade. The only reason I directed Macbeth was that it was the only play I’d ever read! I said to my teachers, “We don’t even have a theater, we don’t even have a drama class here and we should be putting on plays!” And they said, “Oh, what play would you like to put on?” and I said, “Macbeth!” I thought for sure they were going to come up with a play but they didn’t, so because I had made this pronouncement publicly, I had to stand by it. All of the plays of mine that I’m most proud of were always the plays that I thought were the bad idea. Why did you choose theater as your medium of artistic expression? I’m a much better playwright than I was an actor. I think I probably would have become a playwright earlier, had I truly understood that there was such a thing as a living playwright. My primary introduction to theater was Shakespeare, and then after Shakespeare it was Shaw. It just wasn’t part of my realm of understanding—I didn’t know that they had playwriting programs, that you could study it. I was pretty naïve and sheltered. 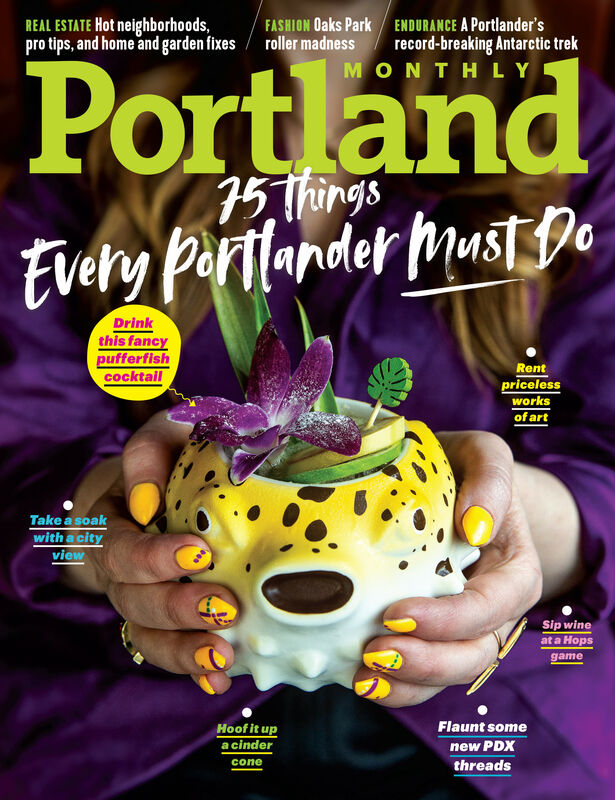 Now everyone is like, “Oh, Portland, Oregon, it’s the most livable city, it’s great.” But at that time, it was like we were off at the ends of the earth in the middle of nowhere. How did you discover it was a legitimate activity, or one available to you? I started to figure out while studying acting that there was such things as living playwrights—although barely. The work we were doing was still Tennessee Williams and Eugene O’Neill and Beckett and Arthur Miller, all these wonderful, amazing white guys. At New York Theater Workshop, I met an assistant director at the time, Leigh Silverman, and we were workshopping, where I was going to write a play in a weekend and she was going to stage it with actors. She said, "I think you’re pretty good—you should apply to Julliard." So I did, and then I got in. It was like a fairytale. I really had no idea how hard it was to get in—I mightn’t have applied had I known. Where do your plays come from? All of the plays of mine that I’m most proud of were always the plays that I thought were the bad idea. I’d think: "This is not going to be the play, the play is going to be something really wacky or witty or quirky and intelligent, and all of these things, but before I write that great play, I’m going to write this other not so great play that I just have to write for myself to get it out. And once I get it out of my system—the play for me—I’m going to write the play that the audience is going to like." But I never end up writing that other crowd-pleasing play I intended to write—I always end up sticking with the play that I think is just for me. We aren’t very far down this path, we just thought we were because we can see far. It’s usually something that I’m grappling with, something that I don’t think has a clear answer, or is a complicated issue. It’s when I don’t know where I stand on the subject, or if I do know where I stand, it’s something that I have a lot of feelings about, or something that troubles me, or concerns me, or something that I think deserves further examination. You've said before that with The Call—a play about a couple who decide to adopt a child from Africa—you didn’t even want to write it. Why not? I didn’t want to write it because at the time, I forgot that part of the art of being a writer is to fictionalize, to create truth from fiction or create fiction from truth. Because I have adopted children, I didn’t want to borrow from their lives. You’re stealing someone else’s story even if they’re in your own family, so I didn’t want to do that. I really resisted it. I also probably didn’t want to examine some of the more complicated issues of motherhood and midlife and marriage and all the things the play brings up—race, global issues—so I really avoided the play. And then I realized, I don’t actually have to write my story, I’m really nothing like Annie, the main character. But I found a truth in it that was inspired by what it means to adopt a child. Does that kind of personal truth feed into the rest of your work? It’s funny, because all my plays are personal in some way, and sometimes they appear more personal than they are. I’ve been in a long-term relationship with a woman and that’s what Bright Half Life is about, and that also is informed by what I know. With my play Blue Door, which is really about internalized racism, the character is an African-American man in his 50s, and I wrote it when I was in my early 30s. It seemed like a huge stretch, but I think that at the time I understood that internalized racism and I understood existing in a predominantly white community, and what it mean to try to navigate that, so there was a truthfulness in that play. There’s stuff that I was working out while writing that play, that was very present in my own psyche, however different of course. Blue Door is, you’ve said, the first play where you directly addressed issues of race. How do you feel about being part of the current conversation about race in America, and the fact that it has resurfaced at this particular time? I’m glad we’re having this conversation. I must admit it surprises me that people feel negatively about it, or feel the conversation should not be had. I’m always shocked by that point of view, because there seems to be a certain hostility. I think we have to have this conversation—I’m both glad and sad about it. On some levels, we all thought we were farther along, and then all the stuff that’s happened lately in this culture and all the divisiveness and the hostility and anger, makes us think, "Oh, we weren’t farther along. We aren’t very far down this path—we just thought we were because we can see far." We can see much farther than we actually are. Do you think that applies to gender as well as race? Absolutely. I do think we are farther along in terms of gender. Some people might disagree, but as an African-American woman, I feel that’s been my experience. But I still don’t think we’re very far. What is it, women are paid 79 cents for every dollar [earned by a man], or something like that? There you go—that tells you. Are you working on anything right now? When can we expect a new Tanya Barfield play? I never talk about my plays before I start writing them, because otherwise I’ll never write them. I’ve been doing a lot of TV writing lately, which I used to think of as a very dirty word, earlier in my playwriting career, and then I realized that I have kids and I have to pay the rent. And TV has changed so much, now there’s great TV. So I can’t totally answer that question, I guess. It’s just percolating. Meanwhile, your season in Portland awaits. Are you looking forward to it? I am excited to get back there. It’s strange to me to go back and have no idea what the production is going to be. It’s been quite a while since I’ve seen a play in Portland. The Call opens at Profile Theater on Saturday, Feb 6, and runs through Feb 21. Profile Theater will also produce Blue Door and Bright Half Life as part of the Tanya Barfield season.